You are guaranteed to be impressed with this coastal home in the highly sought after community, Harbour Walk at The Inlets. Medallion Home's Aruba does not disappoint with it's highly functional layout boasting 3 bedrooms, 2.5 baths plus extended den. This luxurious home has an open floorplan and volume ceilings that is perfect for entertaining. The designer kitchen is one of the many focal points featuring upgraded cabinets, Quartzite counters, gas cooktop with stainless hood, and double wall ovens and overlooks the great room which looks out onto the lanai. Escape to your outdoor oasis in your salt water pool while enjoying the canal views. 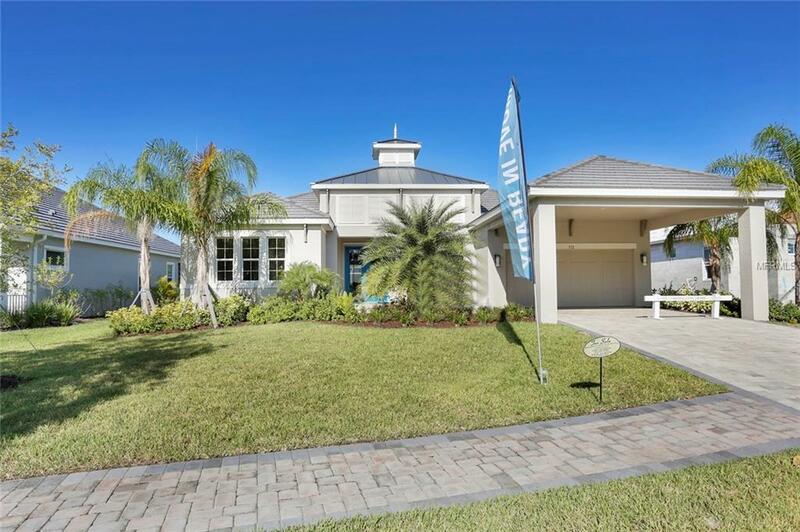 Walk right out of your lanai to your very own private dock and launch your boat into the Manatee River, just 6 miles to Tampa Bay. This truly is a one of a kind community and home. Home comes with a 1, 2, 10 year warranty.